A few weeks ago I wrote about the new feature from the unimitable Wines Til Sold Out – a Weekly Tasting. Every week, there is a new set of 4 wines available for you with all the extra fun information – history, stories, pairing recommendations and more – like your personal sommelier visits the house for a fun and entertaining evening. I didn’t have a chance to taste the wines as I was living for a business trip, so I only introduced the concept – now it is time to talk about the wines. The set which I got was really right up my alley – I love all of the lesser known grapes and appellations. White grape Furmint is a star – but only in Hungary, and mostly in the world-famous dessert wines called Tokaji. Dry Furmint is difficult to produce, as most of the plantings are very susceptible to the noble rot due to the climatic conditions. Another white grape, Picpoul de Pinet, is only growing in France, and it is quite rare even in that same France. Zweigelt is not necessarily rare, but definitely a lesser known grape from Austria, capable of delivering superbly playful wines. And Mencía is currently in the search of an identity, which usually makes it fun to taste – you never know what you will find. V: 8, very playful with nice complexity. C: straw pale, green undertones. N: Apple, perfume, white peach, jasmine flowers. V: 8-/8, very nice, food-friendly, will complement a wide range of dishes. V: 8-, needs time to open ( was much better on the 2nd and 3rd days). N: tobacco and barnyard, both are very pronounced. P: sweet cherries, hint of tobacco. Very unusual profile as the fruit is initially perceived as sweet, and then it quickly subsides without acidity kicking in. Very short finish. V: 7, not my favorite – but it might need more time…. 7+ second day, more of an 8- after 5 days (using air pump to preserve the wine). A lot more integrated after 5 days, showing nice pepper notes and much longer finish. Here you are, my friends. Furmint was definitely a favorite, but I truly can’t complain about this set of wines – this was definitely a fun tasting. Kudos to Wines Til Sold Out for bringing up yet another great service for the wine lovers. Get your weekly tasting set today, invite your friends over, and go have some fun! Cheers! Wine is an expensive passion, we all know that. Of course, passions and hobbies are generally expensive, and if someone’s passion is Swiss watches or sports cars, that is a totally different level of expense. Nevertheless, if you like to have a good glass of wine every day, your wine budget allocation will quickly add up to some scary amounts. I don’t remember when I discovered Wines ‘Til Sold Out, commonly referred to as WTSO – at least 8 years ago, or possibly even longer – but it was really an eye-opening experience. When I saw the wines offered at 30%, 50% or even 70% off, with free shipping, my first thought was “is that even real”? First, second, tens orders proved that all is for real – the wines, the prices, the shipping, the service – all were there, and the space in my cellar started to diminish at a rapid pace – but this is not a subject of today’s post. Wines ‘Til Sold Out is a fine specimen of what is called a “flash-sale” website – the product (in this case, wine) is offered for sale at a greatly reduced price, until it will be sold out (sometimes in minutes), with a free shipping if you meet minimum required purchase quantities. In case of Wines ‘Til Sold Out, such sales are typically announced through an email, a tweet or an app on the smartphones, and you typically need to react quickly if you want to get it – sometimes you don’t even have time to research the wine online, as by the time you are done, there will be nothing left to buy. And what I really appreciate about Wines ‘Til Sold Out is that their typical offering will keep you under $100 for the total order – I’ve seen a few exceptions, but those are very, very rare. In addition to having wines offered for the “flash sale”, Wines ‘Til Sold Out also runs a series of so-called Marathons. I’ve seen WTSO experiment a bit with the format of those, but a Marathon is typically a whole day event (starting at 9 AM Eastern and lasting until midnight), where the new wines are offered every 15 minutes or faster (if current offer sells out), all wines at a very good price and sometimes even without minimum quantities to buy (you can read more about WTSO marathons here). Both regular format and marathons are a great way to get good wines at amazing prices. But everything in this world has two sides, isn’t it? So what is the issue, you ask? Simple. Quite often, the wines are moving simply too fast. I had been in the situations where by the time I decide to buy the wine, it is all gone. Marathons are the worst – I had been clicking like a mad man to get to the “confirm order” button, and by the time I press this button, the sad message would appear to inform me that the wine is no longer available. If you ever been in a similar situation, I have a good news for you. Wines ‘Til Sold Out recently introduced the new way to buy the wine – Bonus Offers. Once you would come to the Wines ‘Til Sold Out web site, look for the “Bonus Offers” in the top menu – when you will click it, you will be presented with the offering of up to 9 different wines – you can buy any or all, no minimums to get free shipping. The wines will be always grouped by a certain theme – one time it can be wines from Napa Valley, another time it can be Cabernet Sauvignon around the world – there is always an opportunity to be pleasantly surprised. and today Bonus Offer already looks differently – but what else do you expect when the wines are simply getting sold out? There you have it, my friends. Same great wines at great prices, now with the opportunity to sweat less and simply get what you wnat when you want it. In the world of wine, I’m always happy to drink to that. Cheers! Is summer the best time of the year? Well, I love all seasons, but with the right weather, summer might be the most enjoyable. Can we enjoy it “better”? Of course – with a glass of Rosé in your hand. There is something special about the Rosé. We eat with our eyes first, and we drink that way too. If you think about color of the white wine, you get the range from literally a clear water to a dark gold – white wine is fun to look at, but the color of it doesn’t provoke much thought, unless you are in a blind tasting setting. Similar story with the reds – the color goes from the bright ruby to literally black, but again, the color doesn’t bring that much of the visual pleasure. Rosé is a totally different game. The shades of pink go from the onion peel to salmon to copper to electric pink, and just a visual effect of the bottle of Rosé is appealing and uplifting, it says “the world looks a little bit better now, isn’t it”? We don’t always carry around those pink-colored glasses which improve our life’s outlook, but the bottles of Rosé can have the same effect. Who is with me? Yep, go pour yourself another glass. So we agreed that Rosé itself can make our summer better. Can we further improve that? Of course! With the help of Wines ‘Til Sold Out, commonly known as WTSO. WTSO provides tremendous service to all of the wine lovers – it finds great wines at amazing prices – and passes savings to all of us. To make our summer even better than it is, WTSO is offering a special Côtes de Provence Rosé 4-pack collection, which you can find here. P: beautiful fresh profile, touch of underripe strawberries, crisp acidity, nice salinity, excellent balance. Appears very light, but very present in the glass. V: 8, very nice, perfectly enjoyable, and guaranteed to remove at least 5 degrees off the thermometer. P: savory, good lemony acidity, but missing on the overall package. Acidic finish, needs more fruit. V: 7-, should be good with food – salad comes to mind. P: ripe strawberries with touch of honey, a bit of perceived sweetness, perfect balance, delicious. P: fresh, crisp, tart strawberries, beautiful palate cleanser, excellent balance. V: 8, nicely present wine, good weight in the mouth, excellent for summer and not only. Needs about 20 minutes to breath. Enjoy your summer and drink Rosé! Cheers! It was a while since I posted one of these, but when I saw the announcement for the Wine Til Sold Out “Anything Goes” marathon, somehow I felt inclined to collect the data and create this post. As nobody has time to constantly watch all the wines been offered, the table below presents all (I hope) wines which were included in the marathon, so you can ponder at your own leisure – sorry, that might lead to some regrets too, but I can’t help you with that. The fact that I didn’t do this in a while shows in the quality of data below, unfortunately – quite a bit of information is missing. I had to recreate the script, and the computer went to sleep right in a middle of a data collection and I lost it all on the wake up. But I hope you will still find it useful as limited as it is. You can see below the prices, the ratings and at what time the wines were offered and for how long they lasted. Without further ado, here is the table with all the wines offered during marathon (including super-beauty double Barolo package offered right after). If you took part in the marathon, I’m curious to know what you got. And if you missed some wines – well, you can rant in that comments space below. Happy Wine Wednesday and cheers! Here is the guide to the rating abbreviations (this list is ever inclusive – not all of them are used below): WS – Wine Spectator, WA – Wine Advocate, ST – Steven Tanzer, WE – Wine Enthusiast, WRO – Wine Review Online, W&S – Wine and Spirits, JS – James Suckling, RP – Robert Parker, JHN – Jonathan H. Newman, D – Decanter Magazine, rating goes in stars ( 5 stars is max), JH – James Halliday, TRR – The Rhone Report, BH – Burghound, IWR – International Wine Report, TLC – The Library Collection, PR – Pinot Report, TWN – The Wine News, LM – Luca Maroni, Sn – Snooth.com. First, I want to bring to your attention an interesting article by none less than Jancis Robinson, who wrote a very interesting piece called “Jancis Robinson on wine experts versus amateurs“, recently published in Financial Times. In the article, she is talking about the challenges professional wine critics face in today’s world, where literally everyone have an opinion about wines, and not afraid to share it. Definitely worth a few minutes of your time. Next up – a Monthly Wine Writing Challenge Number 19 (#MWWC19) reminder – there is less than a week left in the current challenge (last day is September 14th), and if I’m not mistaken, there were very few submissions so far. I understand that theme is challenging – “Choice” can mean all and nothing at the same time – but this is why it is a challenge, and this is why your participation is required! If this can be a source of inspiration, here is the link to my own mumbling on the subject – I’m sure you can do better. Write up, people! Greenwich Wine and Food Festival 2015, presented by Serendipity, will take place September 23-26 in Greenwich, Connecticut – lots of celebrities, Food Network Chefs, wine, food contests and more are in the program. Here is the link for detailed information, tickets and more. The 10th annual Newport Mansions Wine & Food Festival will take place on September 25-27, 2015 at The Elms, Rosecliff & Marble House mansions in Newport, Rhode Island. Food& Wine Magazine will be hosting the festivities, and there is a very long list of celebrities and celebrity chefs who will be in attendance there – Martha Stewart, Jacques Pepin and many others will be present, so you can expect lots of delicious food, great wines and fun time. Here is the link for detailed information. Georgian Food and Wine Festival should take place in New York City on September 25-27 at Chelsea Markets. At this point, this is all information I have – I can’t even give you a link – but just in case, if you are in New York city, see if a visit to Chelsea Markets will fit into your schedule – this will be a free event and I’m sure you will not regret making it. Now, a bit more of a local event, but on Tuesday, September 15th, Vespa restaurant in Westport, Connecticut, will be hosting an Allegrini wine dinner, where 5 different wines from Allegrini & Poggio al Tesoro estates will be paired with the dishes specially created by the Chef David White. Allegrini is well known producer our of Veneto in Italy (so yes, there will be Amarone on the list), and they also own Poggio al Tesoro vineyards in Tuscany. To get full information about the dinner and to reserve your spot, please visit Vespa Westport web site. And the last one for today: WTSO, the best of the best in the world of the value wines, will conduct their famous “Anything Goes” Marathon on Monday, September 21st, starting at 9 AM US Eastern time. Wines will be offered in a rapid succession, new wines will be advertised only through the Twitter (no emails and no App notifications), no minimums to buy to get free shipping. But you better have all your information ready, as wines will be flying. If you are not already doing so, you might want to follow WTSO on Twitter. Happy hunting! And this is all I have for you for today. The glass is empty, but the refill is on the way. Cheers! 15 hours. 13,317 bottles. About 70 different wine offers. 3,215 thirsty people logged into the web site at 5 PM. These are some of the statistics of WTSO Magnum Marathon which took place on Tuesday, April 22nd. Another day of lost productivity for many businesses – oops, did I say it out loud? I meant the day of great deals for all wine lovers out there – I’m sure everybody were super productive at their desks. As this was the Magnum Marathon, most of the wines offered were of 1.5L size, with few exceptions at 3L. Lots of great producers – Ladera, Tablas Creek, Ciabot Berton, Paolo Scavino, even Cristal and Joseph Phelps, and many many more. Without further ado, I will leave you on with the data. Yes, my collection was somewhat lacking this time, so you will see some missing data as to the pricing and source of ratings – oh well, I hope you will still find it interesting. Note that unless the bottle size is noted as 3.0L, it is the standard magnum size of 1.5L. That’s all I have for you for today, folks. Did you get anything during the Magnum marathon? What do you think of the deals? First, let’s start with the answer for the wine quiz #82, grape trivia – Gamay. Q1: Gamay is closely associated with every third Thursday in November. Can you explain why? A1: Beaujolais Nouveau is coming into town! While Beaujolais Nouveau was always the first wine of the harvest to be delivered to the restaurants and shops in Europe, in 1985 the phenomenon became more organized, settling on the third Thursday of November to make the new release available. Q2: Carbonic maceration is an important method in production of wines made out of Gamay. Can you briefly explain what is carbonic maceration and how does it helps here? A2: Carbonic maceration is a process where the grapes in a sealed tank are subjected to the flow of CO2, which start fermenting the juice inside of the whole grapes before they will be crushed. The resulting wine becomes fruity with very low presence of tannins. This process is particularly used inproduction of Beaujolais Nouveau and other Beaujolais wines. For more information, please refer to Wikipedia article. Q3: Fill in the blanks: In Beaujolais, Fleuri is considered to produce the most ___ wine, and Moulin-à-Vent produces the most ___ wines. A3: In Beaujolais, Fleuri is considered to produce the most feminine wine, and Moulin-à-Vent produces the most masculine wines. Feminine and Masculine are the descriptors typically used by wine professionals to describe the wines of Fleuri and Moulin-à-Vent wines. A4: c. Côte Chalonnaise. The other four names are part of Cru de Beaujolais ten villages, but Côte Chalonnaise doesn’t belong there (it is an AOC in Burgundy). 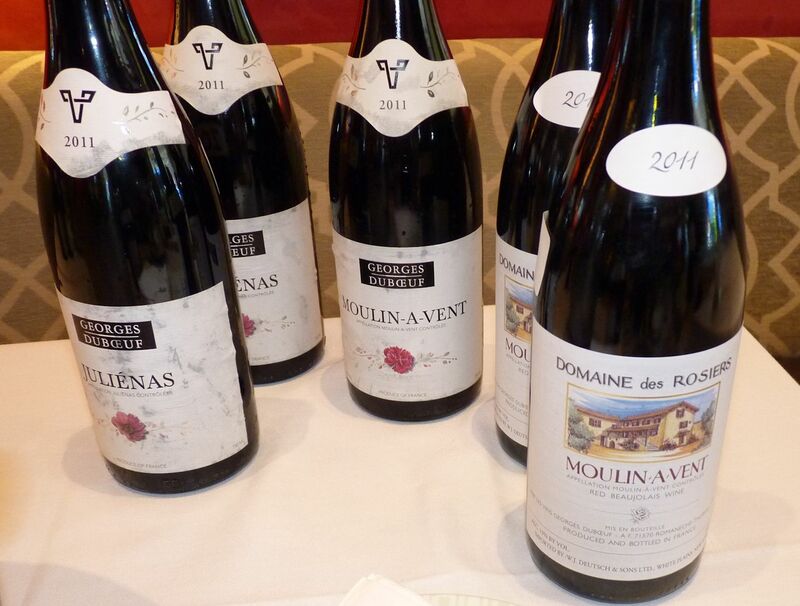 Q5: True or False: Beaujolais Nouveau wines can be aged for a few years before consumption. A5: False. The whole point of aging the wine is to wait for it to develop further in the bottle and become more enjoyable. Beaujolais Nouveau is meant to be enjoyed right away and should be consumed by May of next year – it doesn’t improve in the bottle. So for the winners, Jeff the drunken cyclist continues his winning streak – he got correctly 5 out of 5, including the difficult question #3. Great job, Jeff – unlimited bragging rights are yours! I would like to also acknowledge Wayward Wine,Whine And Cheers For Wine and Eat with Namie who all correctly answered 4 questions out of 5. Well done! On Monday, November 18th, Wine Spectator published their Top 100 list of Wines. Yes, I know, many dismiss the whole notion of Wine Spectator ratings and Top lists as closely associated with the advertizement dollars spent with publication. True or not, but I still have a lot of respect to Wine Spectator and definitely curios to see their “top wines” list. As Wine Spectator celebrates 25th anniversary, they whole web site is open to the public (typically it requiressubscription). I would highly recommend that you will take advantage of this opportunity and explore the site which has a great wealth of wine information. Also, here is the link to the WS Top 100 wines of 2013. I have to admit that I’m happy with Wine Spectator’s choice for the wine of the year – 2004 Cune Rioja Imperial Gran Reserva. In general, Cune Imperial makes great wines, and I think it is an excellent choice for the wine of the year. Thinking about holiday gifts? Does your list include any wine lovers? If yes, you are in luck, but you will need to act quick. On December 2nd, WTSO will conduct a Gift Marathon (full info can be found here). As a traditional WTSO Marathon, there will be no announcements of new wines. But each wine will come gift packaged, with one bottle and two varietally correct Riedel glasses in the box. Most importantly – free shipping on each package (no minimums), and each packaged can be shipped directly to your gift recipient – this is the best part! Prices start from $44.95 per box (free shipping). I think this is a deal not to be missed, so point your browser to WTSO on December 2nd and happy hunting! 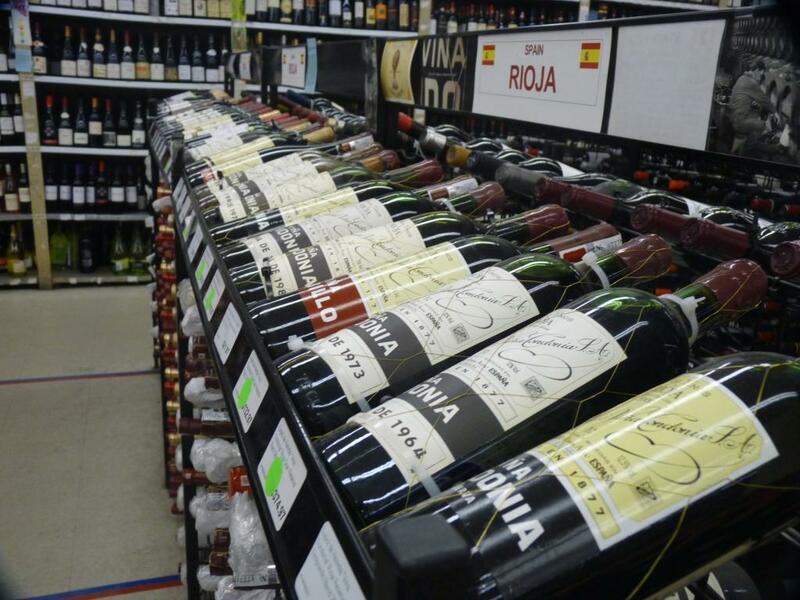 You know Wine-Searcher is a great resource for finding the wines online and comparing the prices. Are you curious what the other people looking for on the wine-searcher? Here is an interesting article, which tells you what the consumers in America are looking for. Based on the article, looks like most of the times people are looking for red Bordeaux blends – which makes sense, as there are a lot more Bordeaux blends produced nowadays. Anyway, for your own analysis and lots more data, take a look at the article. When you make dinner, how often do you think about what wine should be opened for the food you are serving? Sometimes the pairing can be quite difficult, so I have no problems taking my food and wine separately. But when you hit the mark and the wine and food “work” together, it becomes the whole new level of experience. To help you in this process of pairing food and wine, here is the link to the web site I recently came across – I think it has a lot of good suggestions. Take a look – you might be able to pleasantly surprise yourself and your guests during your next dinner. 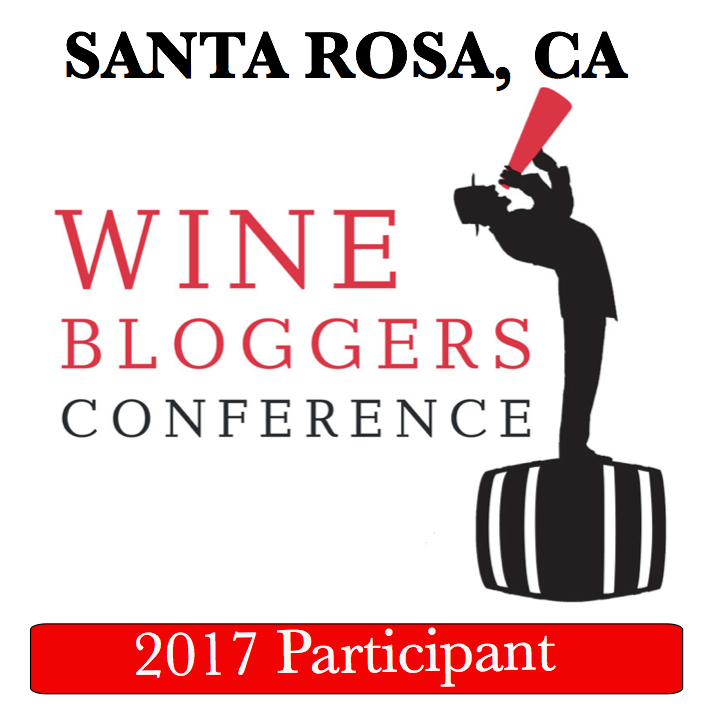 And here we come again – one of my favorite subjects – a round up of a Wine Til Sold Out wine marathon event. This time around the event took place on Tuesday (September 10th) instead of traditional Wednesday. It also lasted for 17 hours instead of 18. For those who are not familiar with the Cheapskate Marathon, it is the event which takes place once in the few month on WTSO.com, where all the wines are priced in the fixed range of $7.99 to $18.99 and typically are sold in the quantity of 4. Also, unlike normal course of sales at WTSO, during Cheapskate the new wines are only advertized on Twitter and you need to keep refreshing the main WTSO web page in order to see the new wines coming out. Below are the stats for the event – if you are interested in comparing with the past events, you can find three of the recent posts here, here and here. 41.4% of sales came from our Mobile App, 58.6% from the web. The biggest sales hour in terms of volume was at 7 AM. I don’t know about you, but for me the numbers look very impressive. This time around I managed to get one wine (and, as usual, missed on the few others which I wanted). 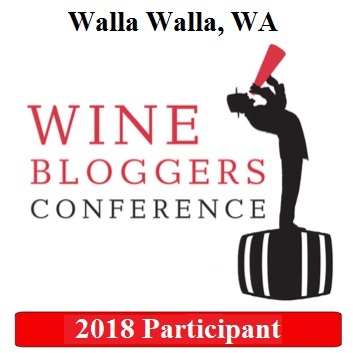 Before I will leave you with the data, here is the usual guide to rating abbreviations: WS – Wine Spectator, WA – Wine Advocate, ST – Steven Tanzer, WE – Wine Enthusiast, WRO – Wine Review Online, W&S – Wine and Spirits, JS – James Suckling, RP – Robert Parker, JHN – Jonathan H. Newman, D – Decanter Magazine, rating goes in stars ( 5 stars is max), JH – James Halliday, TRR – The Rhone Report, BH – Burghound, IWR – International Wine Report, TLC – The Library Collection.